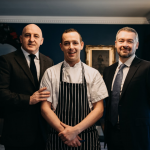 The original gastropub in the West End of Galway, Massimo, has introduced enticing, bang up-to-date daily and weekend brunch menus, designed by new head chef Andrew O’Halloran. The new daily and weekend brunch menus at newly branded Massimo Gastropub offer an appetising mix of fresh, contemporary takes on classics and exciting global influenced dishes. 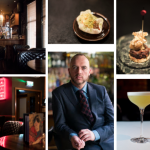 Andrew’s cheffing career has taken him to many far-flung parts of the world, including to southern Africa where he oversaw the opening of two gastropubs and a tapas restaurant, and this influence and knowledge is clear in his style of food at Massimo Gastropub. On the daily menu you can expect Mexican-inspired Tacos in Pork Belly, Sliced Beef, Crispy Cod and Vegetarian Bean combinations that come with Guacamole, Chunky Salsa, Sour Cream and Mexican Red Rice. More of the mains are foreign-influenced and flavour-packed, too, such as Indian Butter Chicken with Coconut Rice and Moroccan Lamb Tagine with Lemon & Almond Couscous. Also on the Daily Menu you can expect equally satisfying classic dishes like Burgers on a Handcrafted Bun with Fries and Salad in Lamb & Feta, Buttermilk Fried Chicken, Halloumi, as well as Beef combinations. The Saturday and Sunday Brunch Menu, served between noon and 3pm, has choices that aim to please everyone like Vanilla Pancakes with Maple Syrup, Fresh Berries & Bacon; Eggs Benedict; Wild Mushrooms on Toasted Sourdough; Five Bean Chilli Stew with Potato Cakes & Poached Eggs; and, of course, the Full Irish, with plenty of optional extras. Massimo Gastropub, which underwent a major revamp only last year, is a comfortable and contemporary casual dining space and late bar, with an excellent selection of craft beers, wines, cocktails and high-end gins and whiskeys, too, which can be enjoyed together with food indoors or in the beer garden. The Daily Menu is available Tuesday, Wednesday and Thursday, 4pm to 9pm; Friday and Saturday, 12 noon till 10pm; and Sunday, 12 noon till 9pm. The Brunch Menu is available on Saturday and Sunday, 12 noon till 3pm. Massimo Gastropub & Late Bar is located at 10 William Street West, Galway. You can reserve a table by phoning 091 582 239 or emailing massimogalway@gmail.com. You can stay up-to-date with Massimo Gastropub & Late Bar on Facebook and Instagram @MassimoGalway and on Twitter @MassimosGalway.